Analysis of North African revolt against authoritarianism, known as the ‘Arab Spring’, embraced reductionist explanations such as the social media, youth unemployment and citizens’ agitations to regain dignity in societies humiliated by oppressive regimes. This book illustrates that reductionist approaches can only elucidate some symptoms of a social problem while leaving unexplained the economic and political structures which contributed to it. One outcome of quiescence, resource-based ethnic and sectarian conflicts and faulty development paradigm is deepened inequality and a wedge between winners and losers or affluence, wealth and power vis-à-vis poverty and hunger among humiliated jobless and hope-less masses. The book blends theories of development and transition to explain the complex factors which contributed to North Africans’ revolt against authoritarianism and its long-term consequences for political development in the Arab World. 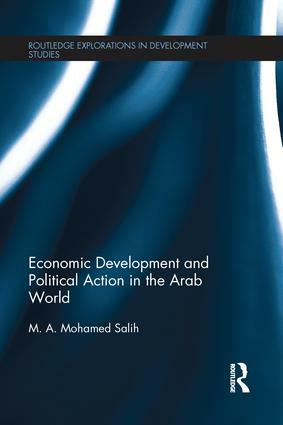 This timely book is of great interest to researchers and students in Development Studies, Economics and Middle Eastern Studies as well as policy makers and democracy, human rights and social justice activists in the Arab world.